The most famous seven words in American journalism - "All the news that's fit to print" - took a permanent place 115 years ago in the upper left corner, or left "ear", of the New York Times masthead. The motto appeared on the daily's front page without notice, commentary or fanfare. In the years since, the phrase has been admired as a timeless statement of purpose, interpreted as a "war cry" for honest journalism, and scoffed at as pretentious, overweening and impossibly vague. Even the Gray Lady, as the newspaper is sometimes called, has not been entirely consistent in its embrace and interpretation of those seven words. In 1901, at the 50th anniversary of its founding, it referred to "All the news that's fit to print" as its "covenant". But a New York Times article in 2001, commemorating the newspaper's 150th anniversary, said of the motto: "What, exactly, does it mean? You decide. "The phrase has been debated, and endlessly parodied, both inside and outside the Times for more than a century." On occasion, the motto has been taken far too seriously. In 1960 Wright Patman, a US congressman from Texas, asked the Federal Trade Commission to investigate whether "All the news that's fit to print" amounted to false and misleading advertising. "Surely this questionable claim has a tendency to make the public believe, and probably does make the public believe, that the New York Times is superior to other newspapers," Patman wrote. The Trade Commission declined to investigate, saying: "We do not believe there are any apparent objective standards by which to measure whether 'news' is or is not 'fit to print'." No matter how it is interpreted, the motto certainly is remarkable in its permanence. One hundred and fifteen years on the front page has invested the motto with a certain gravitas. It has often been associated with fairness, restraint, and impartiality - objectives that nominally define mainstream American journalism. A commentary in the Wall Street Journal in 2001 addressed those sentiments, describing the motto as the "leitmotif not merely for the Times, but also, by a process of osmosis and emulation, for most other general-interest papers in the country, as well as for much of the broadcast media". Interestingly, the "leitmotif" of American journalism had its origins in marketing and advertising. "All the news that's fit to print" first appeared on an illuminated advertising sign, spelled out in red lights above New York's Madison Square in early October 1896. That was about six weeks after Adolph S Ochs had acquired the New York Times in bankruptcy court. Ochs, patriarch of the family that still controls and publishes the newspaper, had come to the city from Tennessee. His task was to differentiate the Times from its larger, more aggressive, and wealthier rivals - notably the yellow press of William Randolph Hearst and Joseph Pulitzer. It was a tall order, given the beleaguered status of the daily in New York's crowded newspaper market. Ochs possessed a keen sense of promotion and turned to a number of techniques to call attention to the New York Times. The illuminated sign at Madison Square was one. An even more successful promotion was a contest inviting readers to propose a better motto. In late October 1896, the New York Times announced it was offering $100 for the phrase of 10 words or fewer that "more aptly" captured the newspaper's "distinguishing characteristics" than "All the news that's fit to print". "Full of meat, clean and neat"
"Cheerful, clean, with glossy sheen"
"As bright as a star and there you are"
"The people's voice, the good choice"
"Yours neatly, sweetly and completely"
As the contest unfolded in the fall of 1896, the New York Times amended the rules making clear it would not abandon its motto, but would still pay $100 for the best suggestion. And entries kept coming in. "The news of the day; not the rubbish"
"A decent newspaper for decent people"
"All the world's news, but not a School for Scandal"
The latter entry, Gilder determined, was the best of the lot, and the New York Times paid the prize money to the author of the phrase, DM Redfield of New Haven, Connecticut. What exactly prompted Ochs to move "All the news that's fit to print" to the front page 115 years ago is not entirely clear. But his intent was unmistakable: to throw down a challenge to the yellow press, a challenge that Ochs ultimately won. 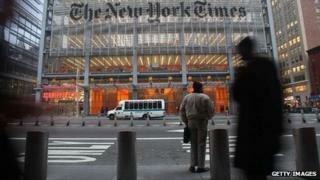 The New York Times has long outlived the New York newspapers of Hearst and Pulitzer. So the motto lives on as a daily rebuke to the flamboyant extremes of fin-de-siecle American journalism that helped inspire "All the news that's fit to print". W Joseph Campbell is a professor at the School of Communication at American University in Washington, DC. He is the author of five books, including The Year That Defined American Journalism: 1897 and the Clash of Paradigms. He blogs about journalism history at Media Myth Alert.